I'll be here~can't wait to see how you do it. The LO is super cute!!! I love it when you work with red, white and blue. 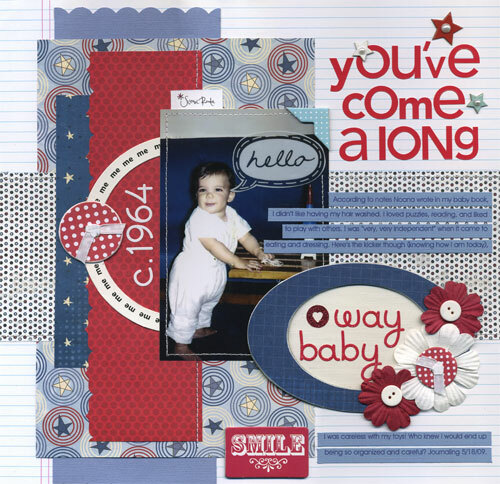 Awesome layering, Lisa!